With the holiday season upon us, the quote above from Nelson Mandela serves as a terrific reminder that volunteerism is the rewarding way to make a difference in the lives of others and give back to the community. At Gatepath, we deeply appreciate those who volunteer their time and talents to support our mission. In addition to helping those with special needs and developmental disabilities, our volunteers can improve their overall sense of well-being by helping those we serve. This mutually beneficial relationship between volunteers and program participants is extremely important for Gatepath, as it is for many non-profits. Volunteer contributions have a direct impact on program quality at Gatepath. Every day, our volunteers make an incredible difference in the lives of people with disabilities and their families. Volunteers teach classes based on interest and skillset, serve as chaperones at outings and celebrations, help with administrative tasks, and create experiences that strengthen others. Volunteers also have an impact on each other and on other community members. I’ve seen firsthand that we build community when we volunteer, and I’ve observed people connect through their volunteer work with peers (and groups of peers) who share experiences and similar values. A Genentech volunteer working with Jerry on his “vision board” during Career Day at our Learning and Employment Campus for adults with developmental disabilities. Jerry is in our job training and placement program. “When I first arrived at Gatepath I didn’t know what to expect, but it was a great learning experience and I enjoyed interacting with the participants,” said Jack Loftis, a 16-year-old student at Sacred Heart Preparatory, who volunteered as a teacher’s assistant at Gatepath. Volunteers are an essential part of Gatepath’s mission. Last year, our volunteers collectively gave 14,000 hours of their time. In recognition of those generous community members, we issue a certificate of appreciation and host a special activity to show our gratitude. Many corporate volunteer groups have supported Gatepath over the years, including Genentech, Electronic Arts, and Netflix, to name a few. A special thanks to all our corporate volunteers and to our board members who volunteer their time in governance, as well as our Gatepath Auxiliary members who organize fundraising events and host parties for our program participants. Individual Volunteers: We have many individual volunteers who provide pro-bono services and donate their time in many ways, such as assisting in our administrative office, teaching various educational and recreational classes, and attending community outings and events. We work with each volunteer to schedule a time that’s most convenient for them. 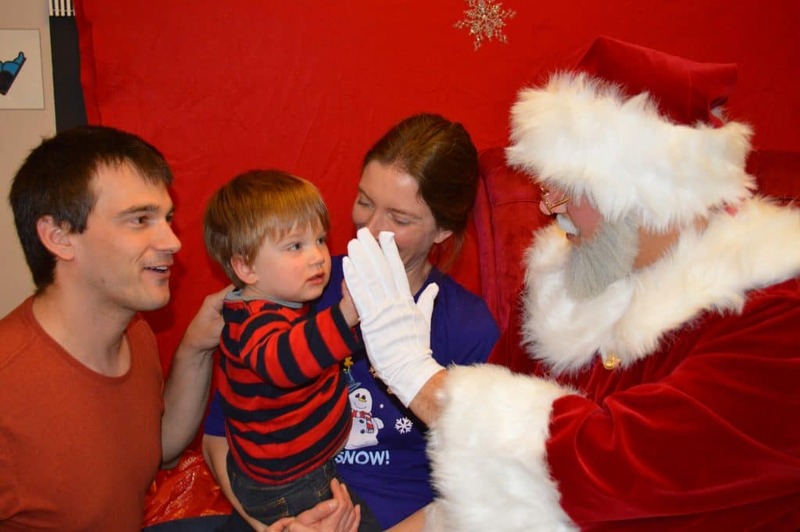 For the past 21 years, Electronic Arts staff members have hosted a holiday party for our families in our Early Intervention program, where all the children get to visit with Santa in a sensory friendly location, and take home a toy. Corporate Volunteers: Many businesses in our community help us out with various activities, like building a sandbox, painting a building, hosting a community outing, etc. Earlier this year, for example, Genentech sent about 100 volunteers to host a “Career Day” at our Learning and Employment Campus in Burlingame. We work closely with each organization to create a rewarding experience for their teams that support our vision of creating world where people of all abilities are accepted, respected and included. Gatepath Auxiliary: One of the longest standing and largest group’s supporting our mission is the Gatepath Auxiliary. This group of women have volunteered for more than 67 years to help support Gatepath’s fundraising efforts. They’ve helped us purchase our transportation vans, hosted a summer picnic for the adults in our programs, hosted an annual holiday party, and much, much more. Their extraordinary partnership and dedication is greatly appreciated. At Gatepath, we couldn’t do what we do without volunteers! We invite you to get involved. We’ll work with you to find the right volunteering opportunity for your interests and schedule. If you’re interested in making a difference and giving back, we’d love to talk to you. Check out our website to explore the opportunities and to sign up to volunteer. 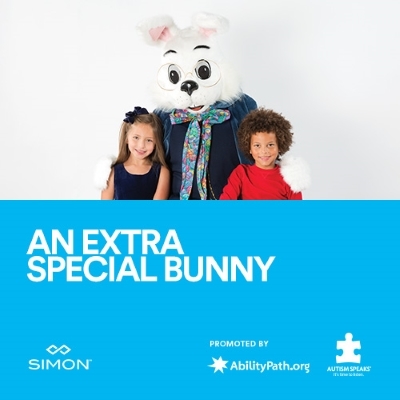 Caring Bunny provides a subdued and welcoming environment for children with special needs and their families.